The International Conference on Innovative Applied Energy (IAPE’19) aimed to investigate innovation applications and last researches in the areas of energy production, alternative and renewable energy supply, energy savings analysis, optimization of energy processes and the environmental impacts of energy production. 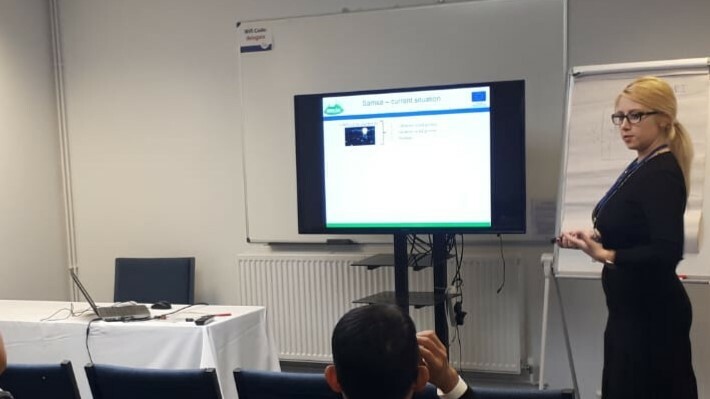 The conference took place on 14-15 March, 2019 with a forum for both researchers and industrials to present and share their latest findings in all aspects of applied energy. The project SMILE was represented by Dr.-Ing. Funda Cansu Ertem-Kappler from Energy Valley by a 15 min presentation. This provided a unique opportunity to investigate the intersections and the inter-play of the various approaches and solutions developed within other EU funded projects. The IAPE’19 conference was held in het King’s Centre in Oxford, United Kingdom.